A few months ago, I had lunch with a prominent technology venture capitalist. Like many other VC leaders, he was focused on businesses growing in China, but he was adamant that his Chinese portfolio companies not list in the U.S. -- and with good reason. For small-cap tech companies, he explained, the U.S. has become an undesirable and difficult place to list. Sarbanes-Oxley regulations are costly to fulfill. Institutional investors are gun-shy. And analyst coverage has contracted enormously, making it harder for small companies to get on the radar of institutional investors, many of whom rely on sell-side analysts for basic screening and information. Yes, there is some cachet left to listing on the Nasdaq, the storied home of U.S. tech issues. And any comparisons are unfavorably colored by the IPO frenzy of the dot-com era. Regardless, this VC told me, the U.S. is simply no place for a small company to go public. Other VCs echo this sentiment. Apparently, the point applies to large companies as well. 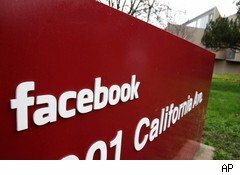 Facebook's deal with investment bank Goldman Sachs (GS) is likely a sign that the social networking giant wants to raise money -- but without dealing with all the headaches that come with having publicly traded shares. There is some controversy over the rule of 500 shareholders and whether the Securities and Exchange Commission will enforce regulations that say companies with more than 499 shareholders must publicly disclose some financial information. (Facebook has likely crossed this threshold.) But the SEC has yet to force a company to go public, and it probably won't do so anytime soon. In the meantime, secondary stock markets like SharesPost make it possible for even large pre-IPO tech companies to let off steam by allowing employees to sell shares and realize liquidity. LinkedIn, Twitter and Foursquare employees have all participated in these markets to some degree. These factors combined mean not only small companies but also relatively large startups, like Facebook or Groupon, can avoid biting the IPO bullet. Some of this reluctance, for sure, stems from founders not wanting to get the special treatment reserved for the executives of publicly traded firms. However, the upshot is clear. Look for longer and longer waits before IPO announcements, even as a logjam of big, IPO-worthy tech startups piles up. Smaller tech companies in particular will be setting their sights on less regulated, more friendly stock markets.